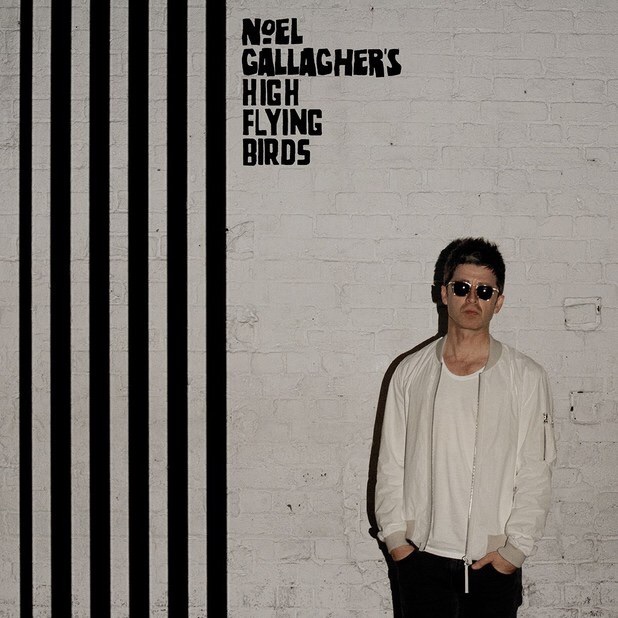 Album Review: Noel Gallagher’s High Flying Birds, Chasing Yesterday. – music waffle. I’d hesitate to call Noel Gallagher a national treasure. Partly because it seems a more boring description than Noel merits, but mainly because I suspect he might deck me if he heard. You see he’s not the archetypal establishment type, but has become part of the fabric of British life in the same way that irreverent and once ranty comedians like Ben Elton have. There’s always that element of unpredictability in what Noel’s opinions on any particular issue might be, just to keep you on your toes (although you can be certain of a smattering of the “f” section of the dictionary amongst it all). He remains hugely quotable as he cuts through the layers of bull that encompass the music industry, but then he’s earned his stripes with a back catalogue of quality work with Oasis, the Chemical Brothers and High Flying Birds. He speaks and passes judgement from a position of enviable certainty, although it’s hard to tell what is truly an opinion and when he’s amusing himself winding up interviewers and putting cats among pigeons, just for sheer devilment. Over three years since the release of the first HFB’s album, number two is a self produced affair, the business of which Noel describes as “An almighty pain in the arse”. The opening track, Riverman, which Gallagher ranks as possibly the best he’s ever written, has the rather nice line “I waited in the rain, my feet too wet to stand in. I shouted out your name behind a rainbow’s end, but somewhere in the crowd she heard me jingle jangling”. It’s a strong scene setter for an album with a lot of references to a long standing couple getting by. The Girl With the X Ray Eyes is about those women who “Cut through your bullsh*t, the ones you end up marrying”. Ladies everywhere can smile sagely at the truth in that – romance in reality. The Right Stuff is the fulcrum of the album, starting with a mellow sax and a groovy bass line, taking its time to hit the vocal, where Noel is backed by a female vocalist. The pair congratulate themselves on having the right stuff for a while. Then he rocks in with “When your heart gets shattered, and your jeans get frayed, and your baby sings the morning at the end of the day”. A guitar solo comes in and all is utter perfection in the world. The singles In The Heat Of The Moment with it’s fabulous Nananananaaa chorus (picture Noel, thumb on nose, waggling fingers) and The Ballad Of The Mighty I, where he drafts in buddy and legendary Smiths guitarist Johnny Marr, are well chosen. Lock All The Doors is as Oasis as you like and The Mexican is another strong track. Unfortunately the line “You say that you need love, just like a kid on crack” is a touch cringeworthy, but it’s about the only blip I can find in an otherwise well crafted album. The female backing vocals compliment Noel’s voice well, the saxophone adds a jazzy element, and there plenty of guitar solos to keep Oasis officianados happy. On the deluxe version, Freaky Teeth actually makes me want to have an odd pair of nashers. The more you hear, the more it seeps in, and whilst not ground breaking in any way, it’s as assured a body of work as you’d expect from an old campaigner. Anyway, who wants fresh and edgy all the time? It can be wearing. Stories that he can’t stand the album title, and hated it as soon as it was decided upon, add of course to the “couldn’t give a two bob bit” persona. Why bother naming an album something with any hint of meaning? It adds to the air of effortless cool. And the video for Mighty I takes the mickey out of the fact that he cannot stand music videos. The guy knows what he’s doing, no doubt about it. Previous Gig Review: Elbow, Eventim Apollo. Next Weekly Photo Challenge: Orange.